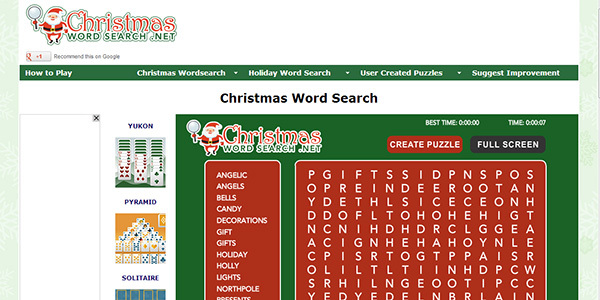 I have several game sites that I have developed a Holiday theme for. 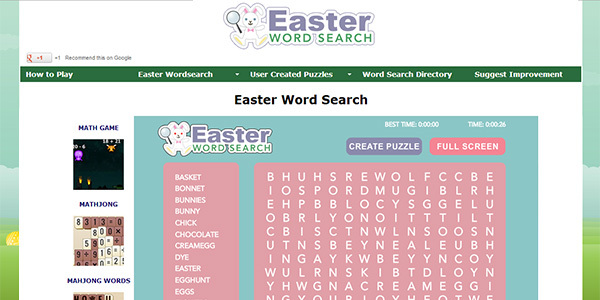 The Holidays include Christmas, Halloween, Valentine's Day, and Easter. 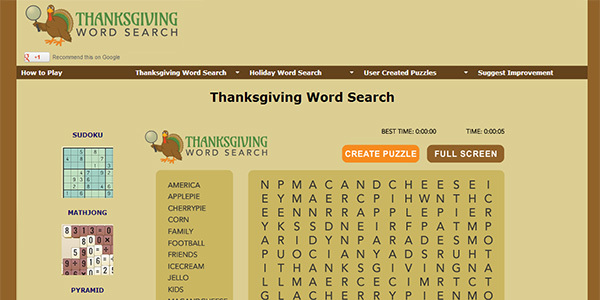 For those Holidays, I've created a variety of Word Search, Mahjong, Sudoku, and Solitaire web sites. 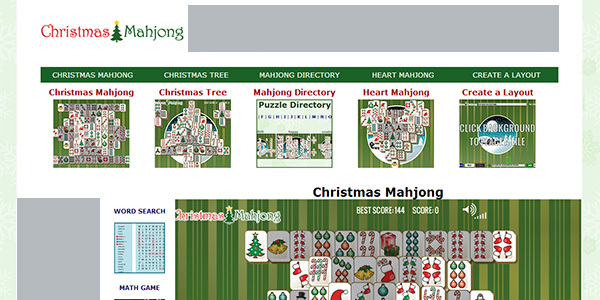 Christmas Mahjong is one of several Holiday themed Mahjong sites I've put together. 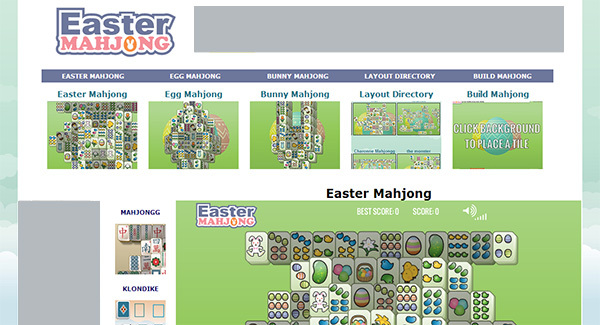 I completely replaced the Chinese character tiles with fun holiday themed tiles. 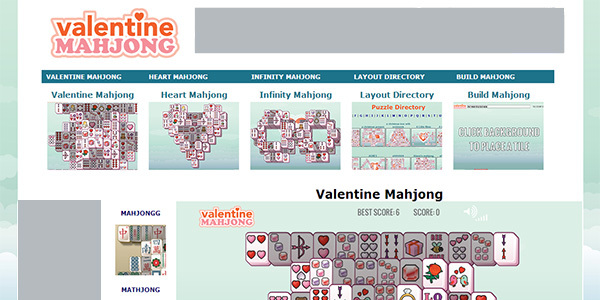 Like my other Mahjong sites I have a large puzzle directory, and the user can create any layout he likes. 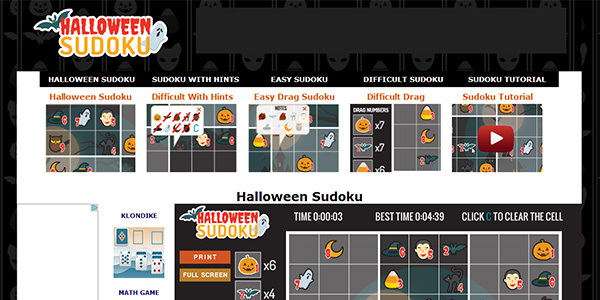 Halloween Sudoku was my first Holiday themed version of my Sudoku game. Having Learned from Mermaid Sudoku that my users preferred to have numbers, I included both numbers and icons in this version. If you take notes in the cell, it uses the icon rather than the number. I haven't received any complaints on this, but in some of my future version I used the numbers instead of the icons. 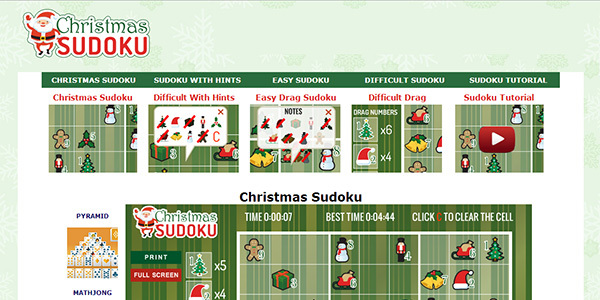 Halloween Sudoku worked out pretty well, so I decided to do a Christmas version of my sudoku game. I think it worked out pretty well also. 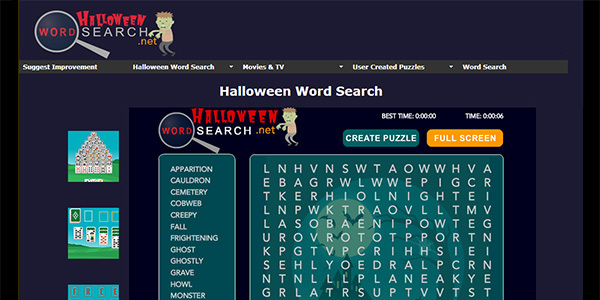 Like Halloween, I included by the number and the icon for placement, and not taking is done with the icons. 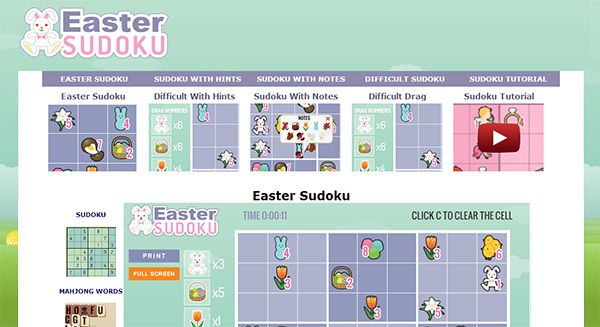 I also included a video tutorial, and like all versions of my sudoku game it can be played in full screen mode. 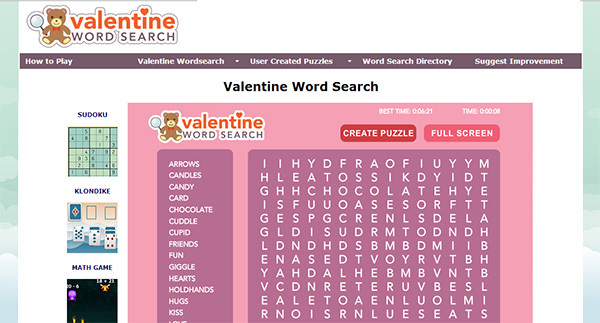 Valentine's Day was then next logical theme to do after Christmas. 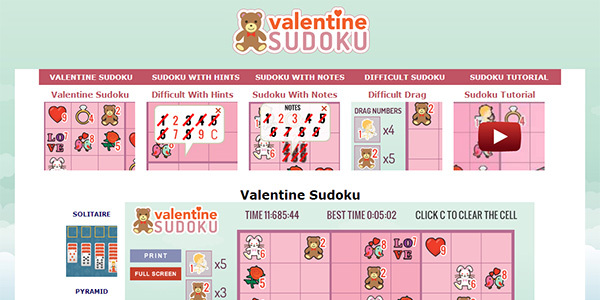 I felt the numbers in Christmas were a bit hard to read if you didn't play in Full Screen mode, so in Valentine's Day Sudoku, I made sure the numbers were larger and more readable. Also, I decided to change up the notes version of the game to use the numbers instead of the icons. The icons are cute, but sometimes it can be a bit challenging to see some of the small ones in the cell. 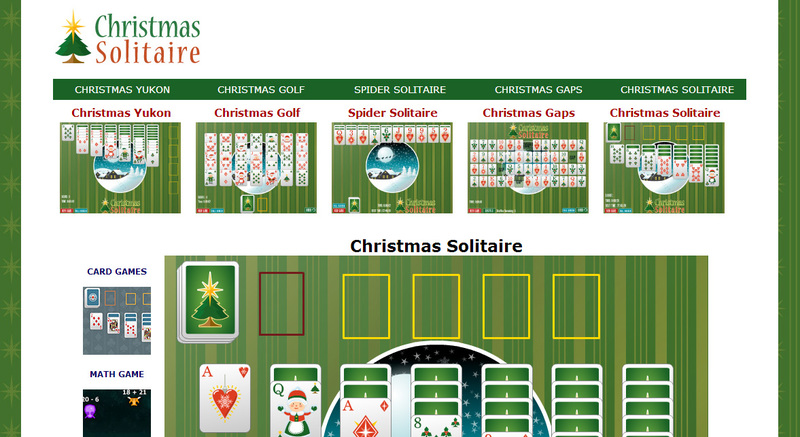 Christmas Solitaire was my first Holiday themed solitaire card game site. The Kings are Santa's, the Queens Mrs. Clause, and the Jacks are Elves. I've also swapped out the black suits for green suits, using Holly instead of Clubs, and Christmas Trees instead of Spades. 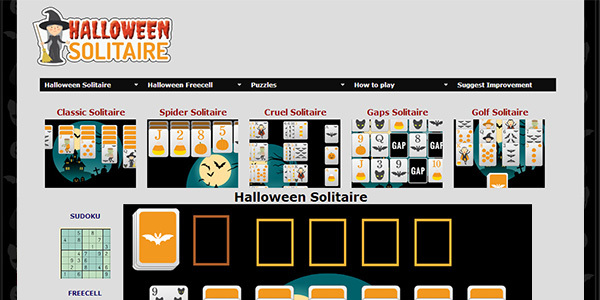 Halloween Solitaire is another reskin of my solitaire card games with a fun Halloween theme. I've completely changed up the suits in the game swapping Clubs and Spades for Black Cats and Bats. I swapped Hearts and Diamonds for Pumpkins and Candy Corn. I've also turned the Jack into a Zombie, the Queen into a Witch and the King into a Vampire. 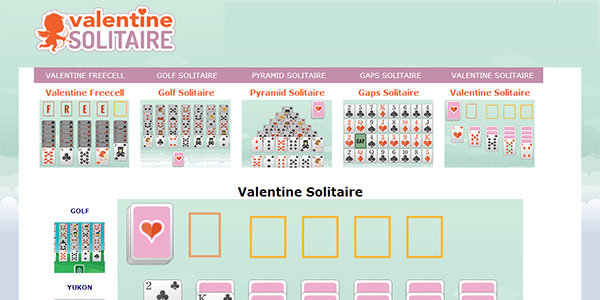 My Valentine's Day Solitaire site uses the original suits and colors from a standard solitaire card game, but the King is a Cupid, the Queen a Girl Cupid and the Jack is now a teddy bear. 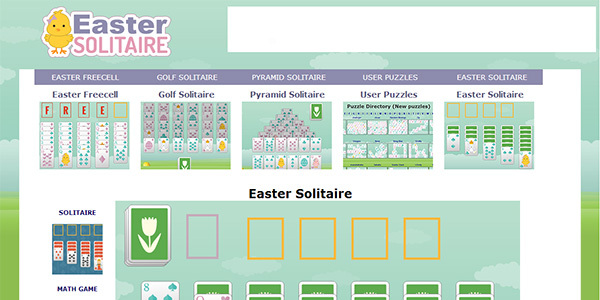 With Easter Solitaire we went with pastel colors for the suits. The black suits (Spades & Clubs) are a pastel blue. For the King we used a Rabbit, the Queen is a Chick and the Jack is an Easter Egg. 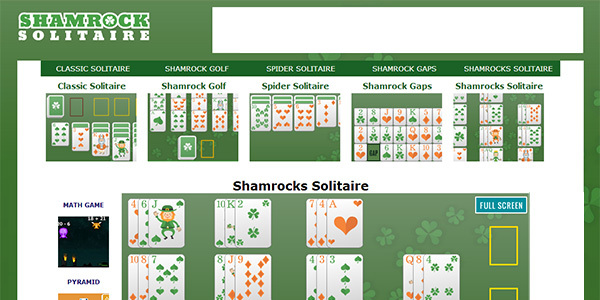 Shamrock Solitaire is one of my favorite solitaire games. It's a pile based card game that has some unusual rules, like you can't have more than 3 cards on any pile. That makes the game somewhat difficult to get started, but once you get it going it's a lot of fun. We've also added a fun St. Patrick's Day theme to it with Leprachaun's as the Jacks and St. Patrick himself as the King. Instead of black Spades and Clubs we have green leaves and shamrocks. 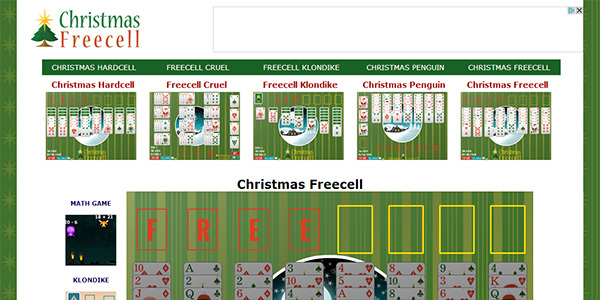 In addition to Christmas Solitaire, I've built a Freecell focused site called Christmas Freecell that uses the same art as our Christmas Solitaire game site. 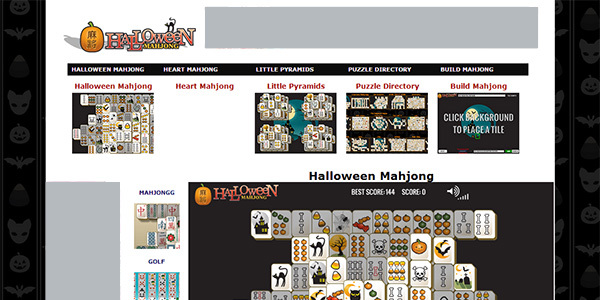 Like Christmas Freecell, Halloween Freecell is a Freecell focused site that uses the art work from my Halloween Solitaire site.